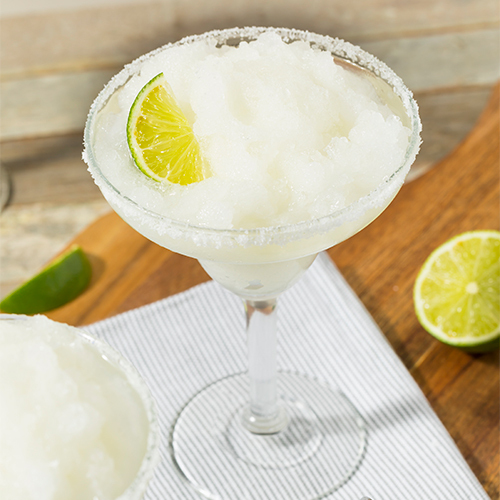 Enjoy your evening sipping a smooth and refreshing Margarita Wine Frappé! Mix with your favorite dry white wine (such as a Chardonnay) or mix it with your choice of vodka or tequila. Garnish with your choice of citrus slices, maraschino cherries, or strawberries and serve!